Recurves have a .020 carbon center lamination for limb stability. Acrylic-impregnated risers now available for added durability of the riser. 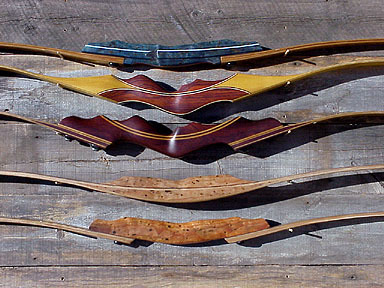 Kelley bows are designed and crafted one at a time by master woodworker Tom Kelley. 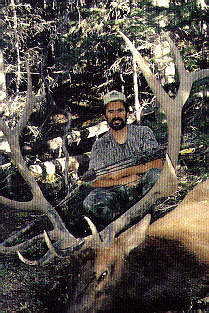 Tom has spent 25 years working with wood and over 30 years hunting with a bow. No shortcuts are taken as each lamination is individually hand-milled by the bowyer. The long bows feature 2 full-lenght strips of woven glass, providing exceptional stability and smootheness. The result is a custom bow that will provide a lifetime of precision shooting and unmatched beauty. Each bow is designed and built to the buyer's specifications, making your Kelley Bow a true personal work of art. This page was last modified : Monday, 27-Nov-2006 03:57:25 EST.